My first job in the industry! So i have been hired as a freelancer for an indie MMO! This means my progress on certain portfolio projects will be halted until i can find more time to work on them as i now currently am working 2 jobs. Very excited! 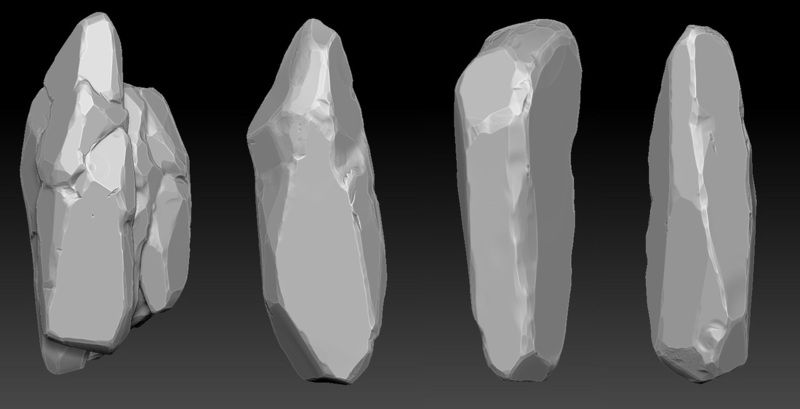 Finally finished optimizing my low poly version over Christmas. Time to learn unwrapping in max! 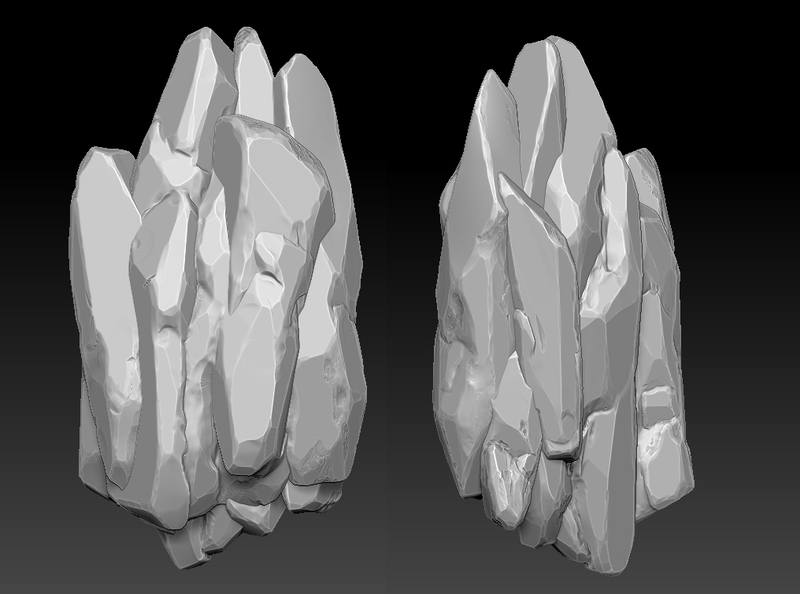 Here is my polycount thread were i will be keeping progress. Here is some colour and theme reference, i will probably expand the scene after. Most of this reference is from the amazing artist Jonathan Kirtz. 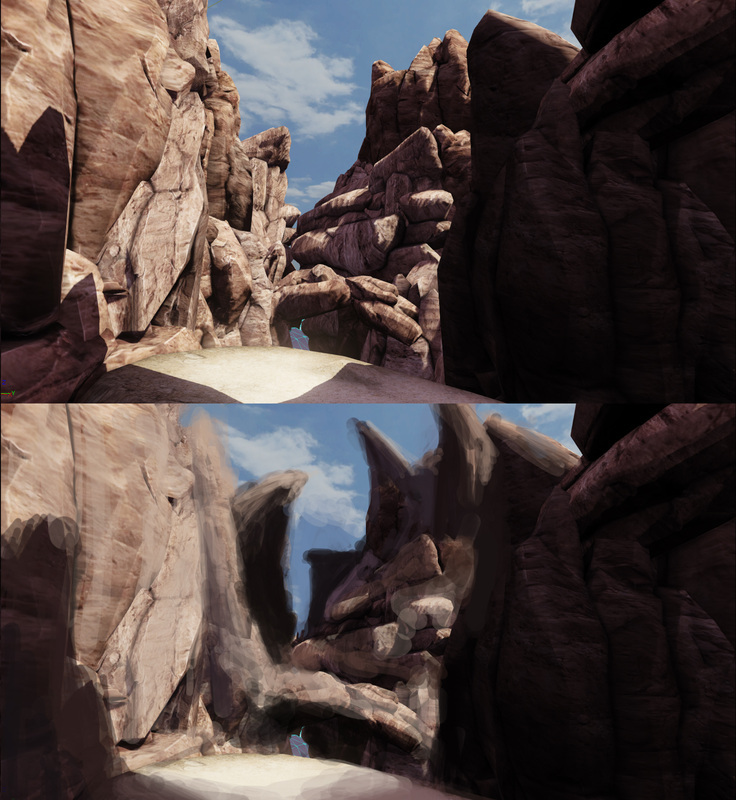 Annnd here is my inital blockout. So our student project is now technically finished, however our group is still adding some additional things and polishing the final product a little more for portfolio material. Here are some images of the final piece. So today i have been working on a very basic landscape in world machine. 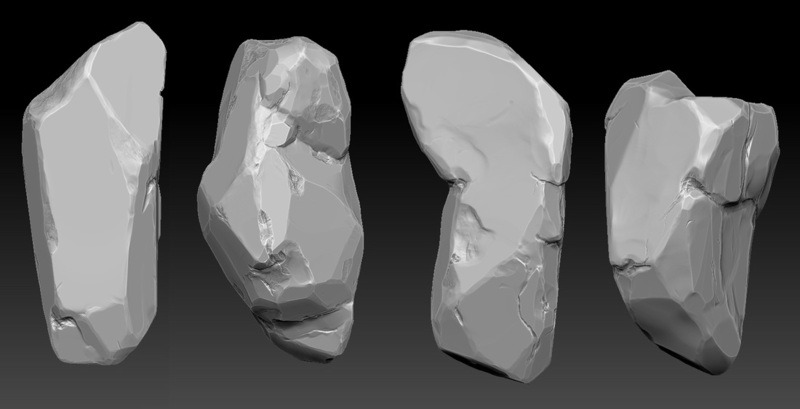 So far i have created a base in UDK, exported the height map, sculpted some large shapes in mudbox, and exported that into WM. Took me most of the day to get the process down and try a bunch of different noise and erosion effects until i found something i liked. The next step is to export the height map, colour map and AO and compile it back in mudbox to sculpt some more detail. 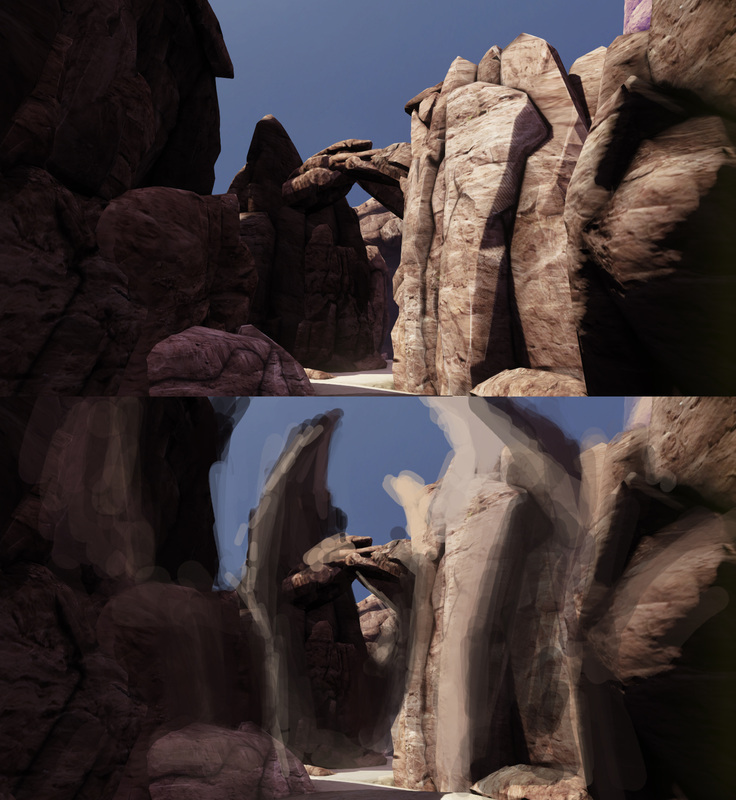 So i started building my level with the rocks i have created and did some paintovers to give myself a better direction. Here are some before and afters. 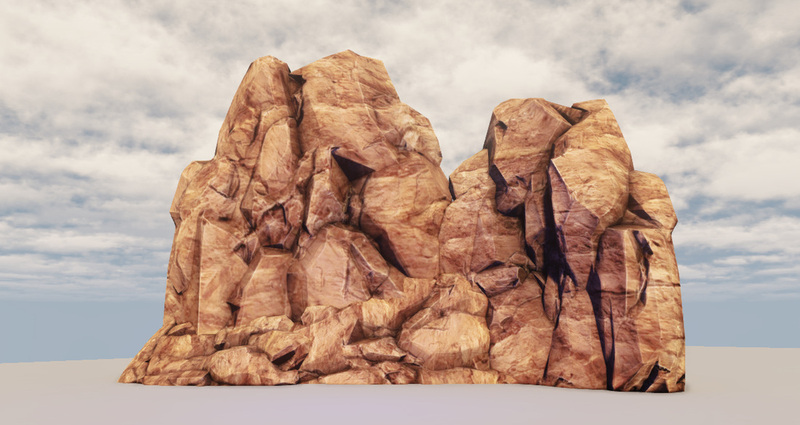 My next step is to create some terrain and redo the rock textures. I am finding the current textures are to noisy for my liking. I think this will be heading into a slightly more stylized look than i was originally planning but it should amplify the mood. 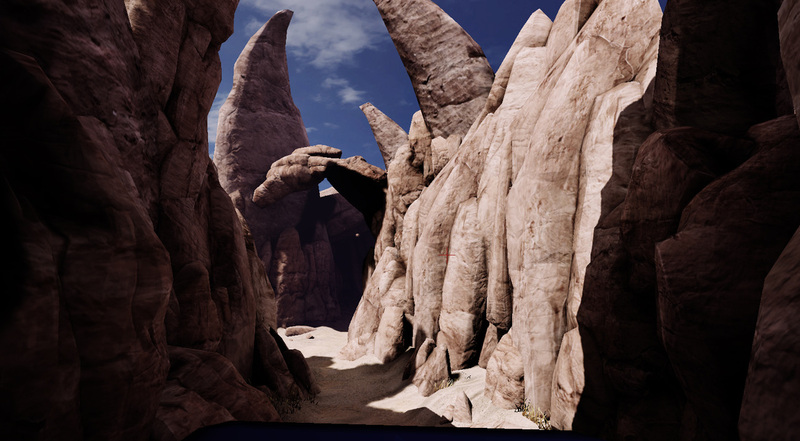 Got my very first rock formation into UDK this morning. 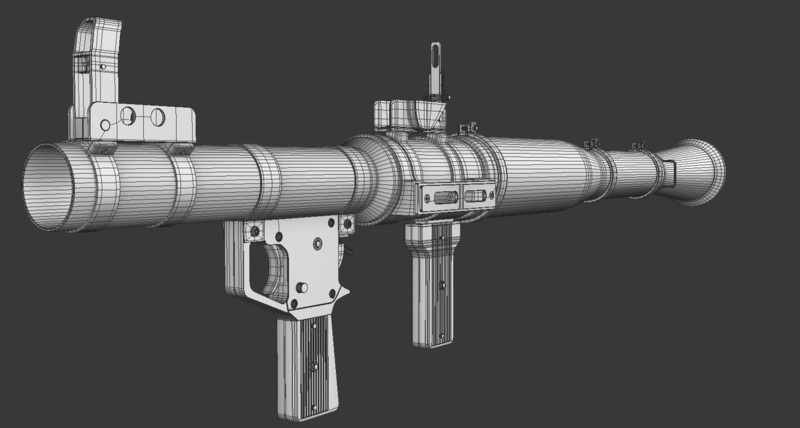 Still need to tweak a bunch of stuff on the texture and maybe edit the polys a little. My progress over the last couple days. 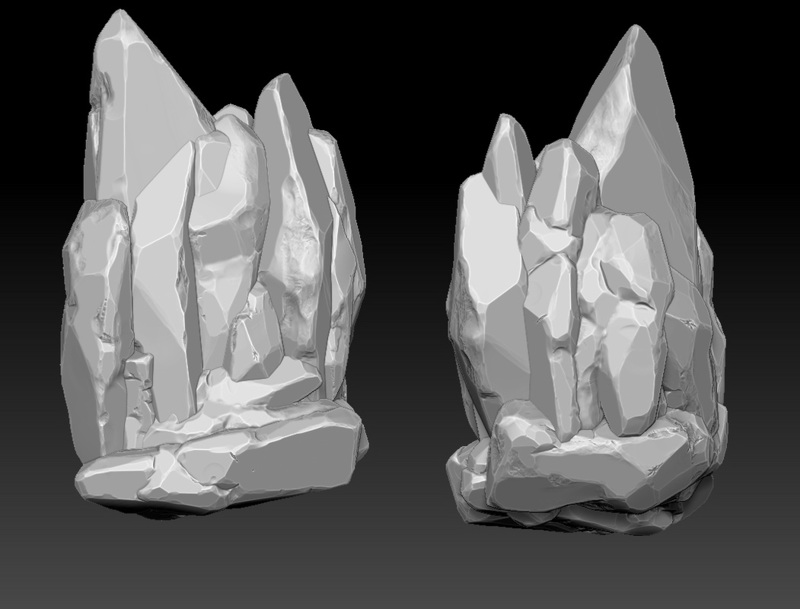 I made these rocks and then combined them into some rock formations. Next will be to make some more combinations and also create low polys of everything. Programs used: Zbrush, 3D coat.